Transboundary haze has become almost an annual environmental issue in the Southeast Asia region, especially for Malaysia due to the Indonesian fires in Kalimantan and Sumatra. Consequently, this has also become one of the main regional concerns for environmental security of the Association of Southeast Asian Nations (ASEAN). However, ASEAN has continually failed to effectively mitigate haze through regional engagement known as the ASEAN Way, which consists of consultation and consensus and upholds sovereign right and non interference policy. Adherence to these principles by member states has undermined the haze mitigation efforts and raised a big question mark as ASEAN has used all diplomatic channels but was not successful in addressing the problem. Since the haze issue does not only affect Indonesia but also neighbouring countries, the ASEAN Way practices need to revamp addressing transnational issues. 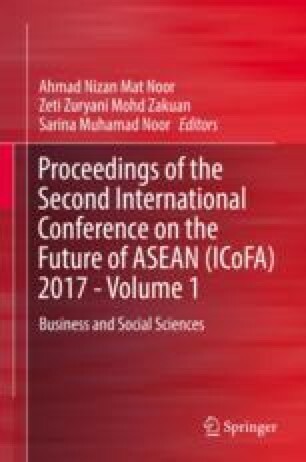 Therefore, this chapter has reviewed 40 relevant articles and reports with the aim of providing secondary data support that argues the ASEAN Way of regional engagement has become a challenge to various nontraditional security issues with the main focus on transboundary haze pollution.